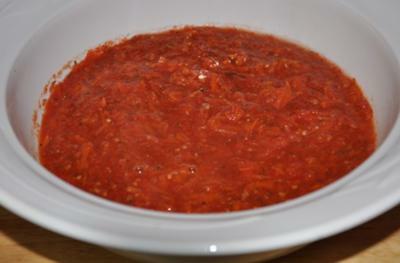 How to make tomato sauce can be a much easier cooking task then you think. 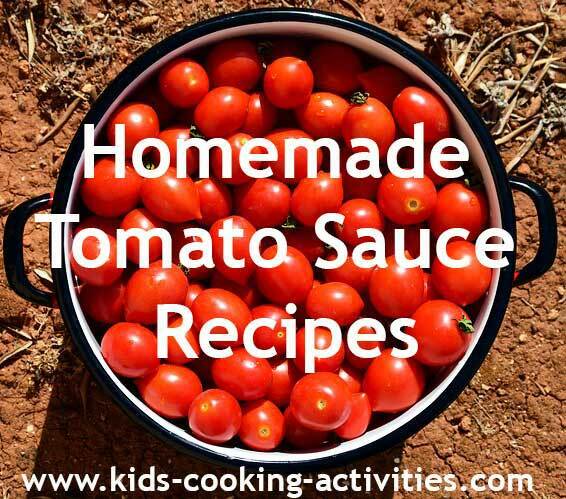 It is great to make these recipes when tomatoes are fresh out of the garden but if you find tomatoes are out of season you can also use canned. Many of these recipes will make a very large batch so you can freeze, can the excess or cut the recipe in half if you'd rather not have that much. This recipes makes about 6-8 pint jars worth. 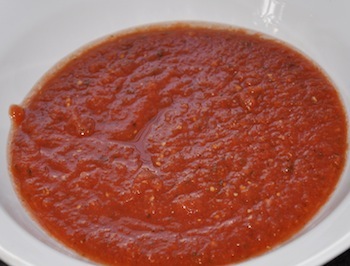 I make this an easy tomato sauce recipe by leaving the skins on the tomatoes and pureeing everything in the blender. Wash tomatoes well, core and cut in quarters. Add to blender and blend until smooth. Pour into large stock pot or canning pot. Continue blending all tomatoes. Cut onions in quarters and puree in blender with garlic, fresh herbs and bay leaves. (yes the whole leaf) Pour in with the tomatoes. Add remaining salt, sugar and pepper. Stir together until well blended and cook on medium-low for several hours or at least until sauce reduces by half. Allow to cool and put in plastic containers for the freezer or can using directions for water bath canning. 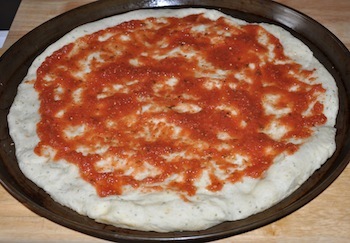 This sauce also works well for a pizza sauce. 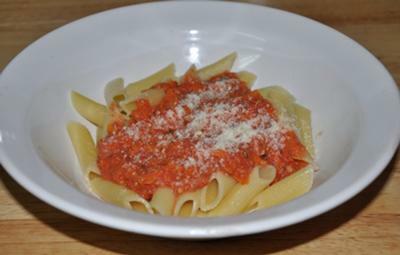 Learn how to make some Italian pasta sauces with this online course. Puree tomatoes, onion, and garlic in blender. Stir in seasoning and pour into crock pot. Cook on low 6-8 hours. In blender puree garlic, tomatoes, and mushrooms. Pour into a crock pot. Add tomato paste, water, oregano, basil, salt and pepper. Stir together until well combined. Cook on low 8-10 hours or overnight. Shred carrots and onion and sauté in the Olive oil. Add tomatoes to vegetables and blend in food processor. Add garlic, basil, oregano to taste. Simmer, add 1/2 cup milk. 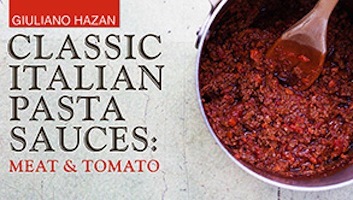 Can be used as a dip, marinara or with the addition of water, per taste, a soup. He doesn't eat onions but decided to add them anyway. Per Thomas, "You can't even taste them in this." 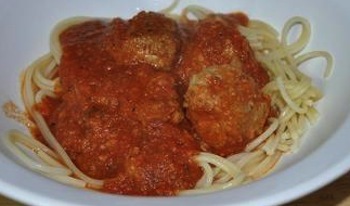 Editors Photos and Notes: Great job on this recipe. I love the addition of carrots. If your kids are like mine and don't like shredded carrots you can chop the carrots in a blender or puree and add in the sauce. Great, nutritious and easy. Thanks for sharing it with us. 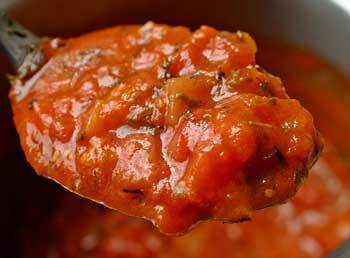 Do you have a how to make tomato sauce recipe to share?